Michigan ranks third in the nation in blueberry production, growing more than 20 different varieties of blueberries annually. Currently, almost 21,000 acres of the state are devoted entirely to blueberries, yielding over 92 million pounds in the last year alone. 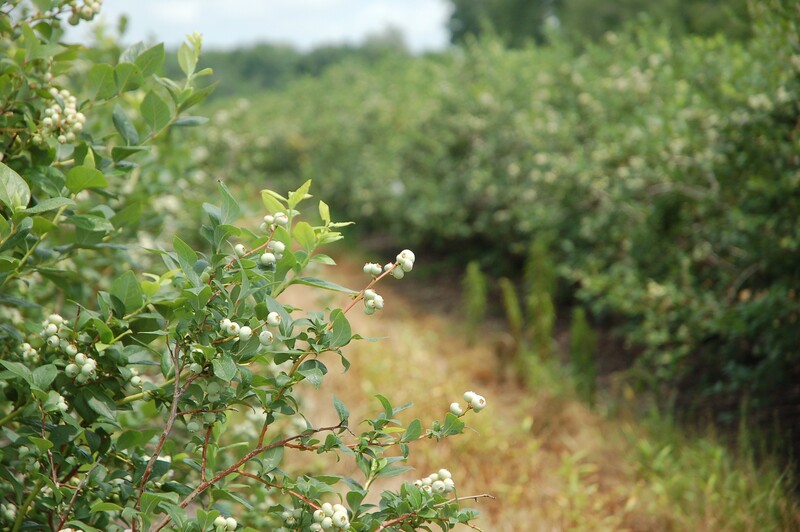 Most of Michigan’s commercial blueberry production is located in southwest Michigan, where sandy, moist soils and high water tables result in excellent blueberry soils. Blueberry production may involve unavoidable wetland impacts, and Michigan Department of Environmental Quality (MDEQ) permit applicants generally have three option to compensate for lost wetlands: (1) on-site mitigation, (2) off-site mitigation, and (3) mitigation banking. On-site mitigation is the restoration or creation of wetlands by the permit holder within the project limits of the impacted wetlands. Similarly, off-site mitigation is the restoration or creation of wetlands by the permit holder at another site within the same watershed or ecoregion. Mitigation banking, on the other hand, involves the purchase of credits to offset the permitted impact to wetlands from an established wetland mitigation bank within the same watershed or ecoregion. This third option is the preferred method of mitigation under federal and state statutes. The MMWA has planned for an estimated 100 acre credits of mitigation for the expansion of the blueberry industry over the next 20 years. With grant funds from the MDEQ and assistance from the Michigan Department of Natural Resources (MDNR), the MMWA is establishing a wetland mitigation bank site in southwest Michigan for blueberry growers who need to buy wetland mitigation bank credits. The MMWA will serve as the bank sponsor and the MDNR will build and maintain the wetland mitigation bank, which means that blueberry growers can rest assured that their wetland mitigation requirements have been properly fulfilled. 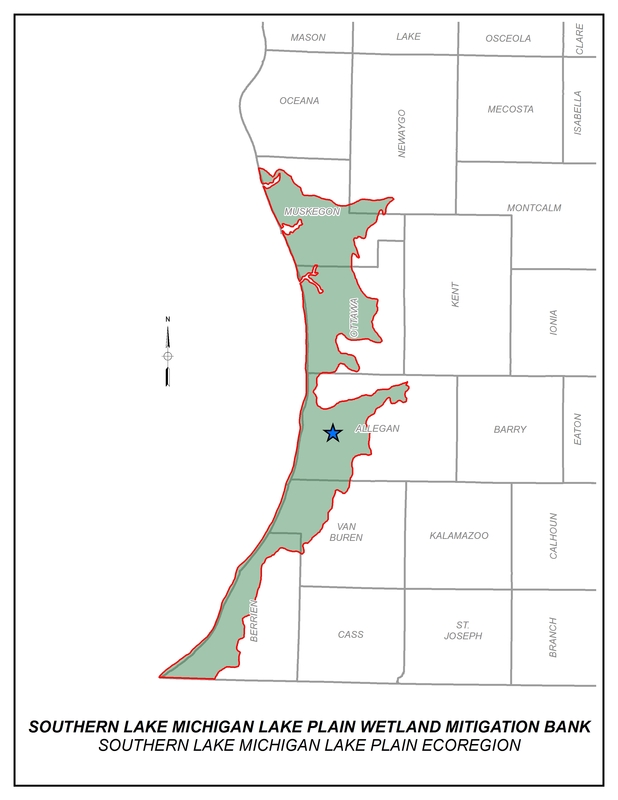 If you are a blueberry grower planning to expand your production, please contact the MMWA to determine if any MDEQ wetland mitigation bank credits are available in your watershed or ecoregion. Note: The asterisk(*) denotes a required field. Once you’ve determined the location, type, and number of acres of wetland mitigation required by the MDEQ for your particular project, please see our credit availability maps to determine whether we have credits available in your location. Wetland mitigation must be of a similar ecological type as the impacted wetland wherever feasible and practical, and the MDEQ has laid out ratios of acres of wetland mitigation that must be provided for each acre of permitted wetland loss. However, the MDEQ may increase the ratio if the replacement wetland is of a different ecological type than the impacted wetland. For more information, please visit the MDEQ’s website at www.michigan.gov/wetlands. Can MMWA Wetland Mitigation Bank Credits Be Used for Any Wetland Mitigation Requirement in My MDEQ Permit? Yes, as long as the MDEQ will accept wetland mitigation bank credits for your particular project. Your MDEQ permit will contain specific mitigation conditions. The MMWA is working with the MDNR to ensure that our banks comply with all of the stringent requirements set forth by the MDEQ. 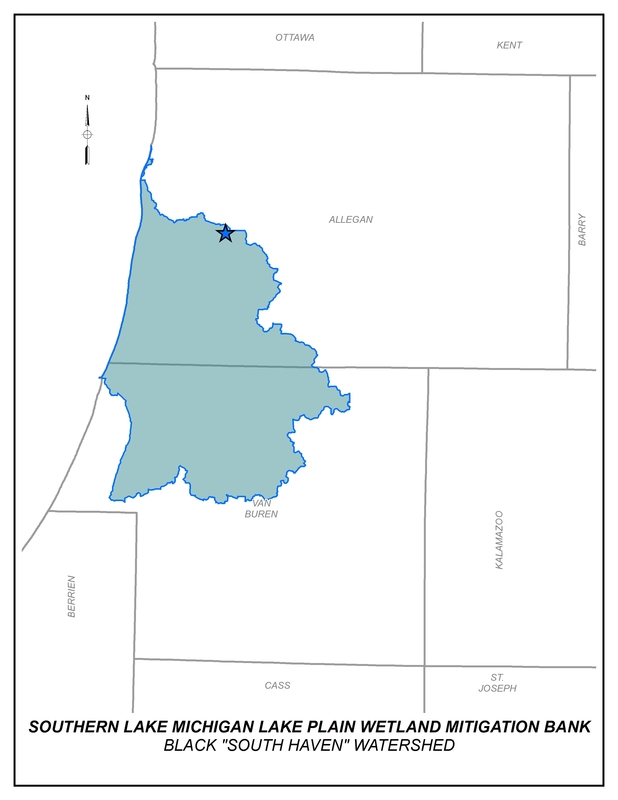 The MMWA is still awaiting final approval by the MDEQ. Please contact us to see if we can help in the interim.